Russian Economy Minister Alexei Ulyukayev who was detained by law enforcement officials on corruption charges, is escorted upon his arrival for a hearing at the Basmanny district court in Moscow, Nov. 15, 2016. Russia’s Economic Development Minister Alexei Ulyukayev has rejected the accusation of receiving a bribe and declined to give testimony, an investigator told Moscow’s Basmanny District Court reviewing the Investigative Committee’s request for putting Uluykayev under house arrest as a preventive measure. 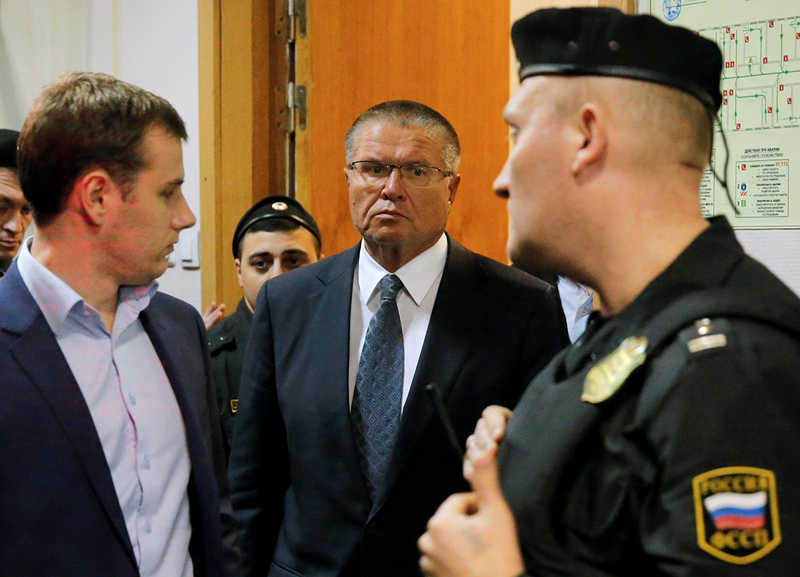 "Ulyukayev has refused to plead guilty and declined to give testimony," he said. Meanwhile, the guilt of Minister Ulyukayev is backed up by witnesses, investigator said. "Ulyukayev was detained red-handed. Moreover, witnesses pointed at Ulyukayev as a person committing the crime," he said. Earlier, Ulyukayev’s lawyer Timofei Gridnev told Business FM radio station that it was "a provocation against the government official." According to the investigators, Ulyukayev took the bribe "for taking actions within his office duties as Russian economic development minister." The representative of the Russian Investigations Committee said Ulyukayev is in good health to be placed under house arrest. He said Ulyukayev was due to fly on an official trip to Cuba and Peru, which fact "proves he is in good health and hence, can be placed under house arrest."